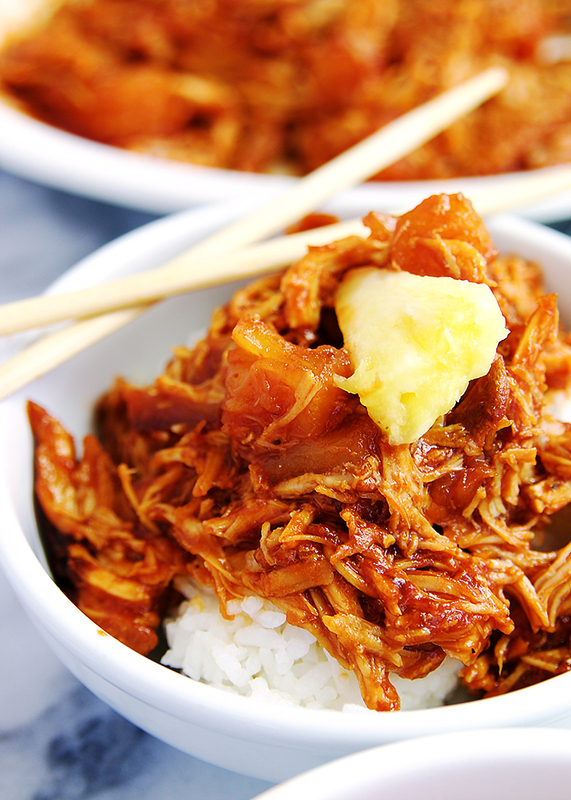 It is never the wrong time for a simple crock pot meal, and this Hawaiian Crock Pot Chicken is sweet and savory and as simple as 3 ingredients!. NO matter how busy I get there is one thing that never disappoints me and that is a crock pot meal. It is so QUICK and EASY to throw ingredients into the crock pot, turn it on and let it do it’s crock pot magic. 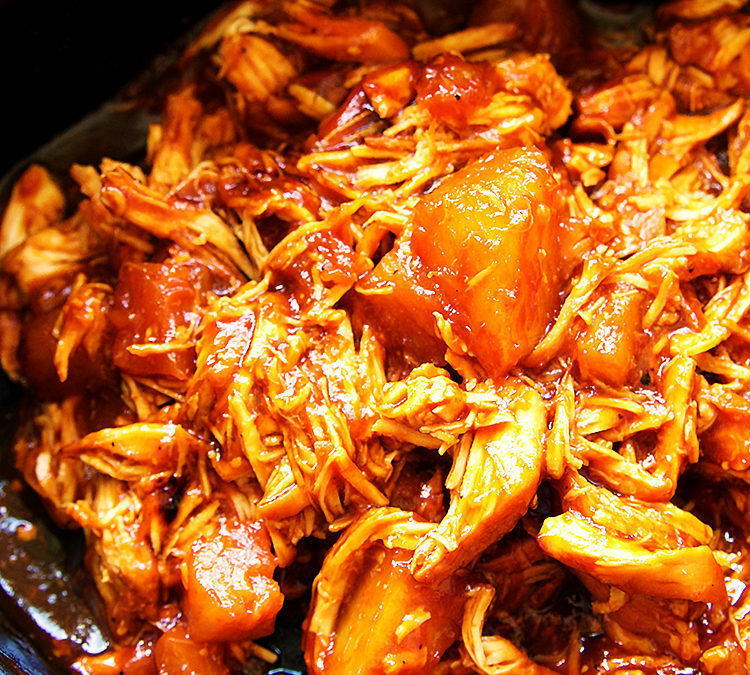 You literally can have an amazing meal without putting too much time and effort into it, that is why I love this Hawaiian Crock Pot Chicken! Not to mention all you need is 3 basic ingredients; chicken, pineapple, and BBQ sauce.. POW dinner is served. So I love to BBQ and am always trying out new BBQ sauce and this Sweet Baby Rays Hawaiian BBQ sauce was amazing. I didn’t even have to think of adding any spices to zest it up to give it more flavor. 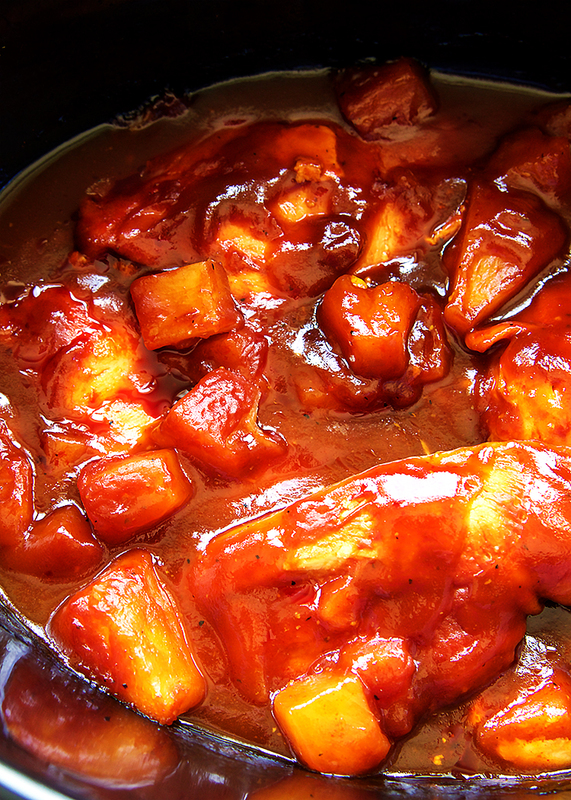 The flavor from the BBQ sauce and the pineapples was the perfect marriage of sweet and savory. 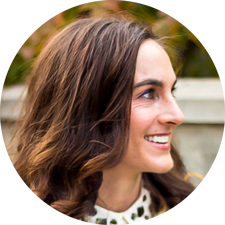 One of the great things about cooking with a crock pot is you literally don’t have to worry to much about it and at the end of your day after you have been rushing the kids around from school, to sports, dance, choir practice etc, or have a massive headache from all the craziness at the office, you can come home with full confidence that dinner is going to be ready to devour and taste amazing. 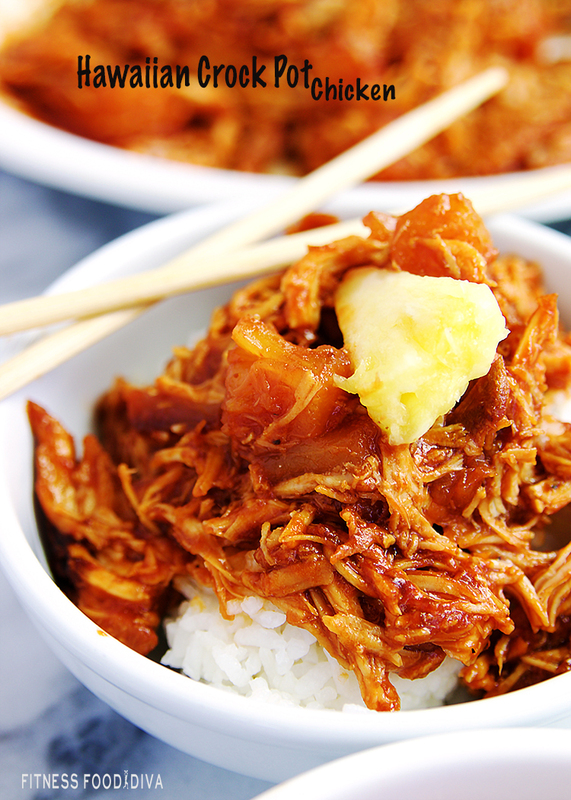 This Hawaiian Crock Pot Chicken will satisfy your entire family. It really has all the yummy flavors you need to put a big smile on your face at the end of your day. I served mine over rice, but it would be AMAZING on some Hawaiian Kings Rolls and eaten like a sloppy joe, or spread on a pizza crust for a Hawaiian pizza night. 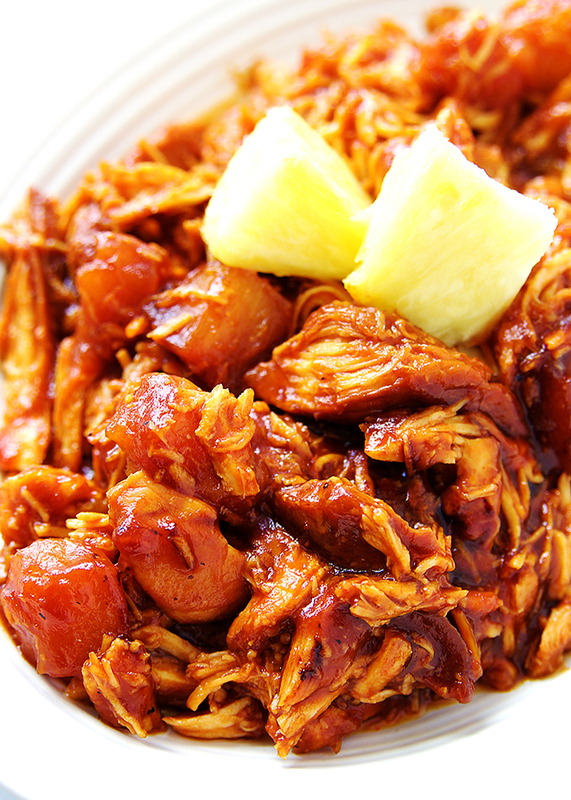 However you decide to serve Hawaiian Crock Pot Chicken you will be glad you took 3 minutes to make a 3 ingredient meal. In just 3 simple ingredients this sweet and savory meal is going on your table tonight!